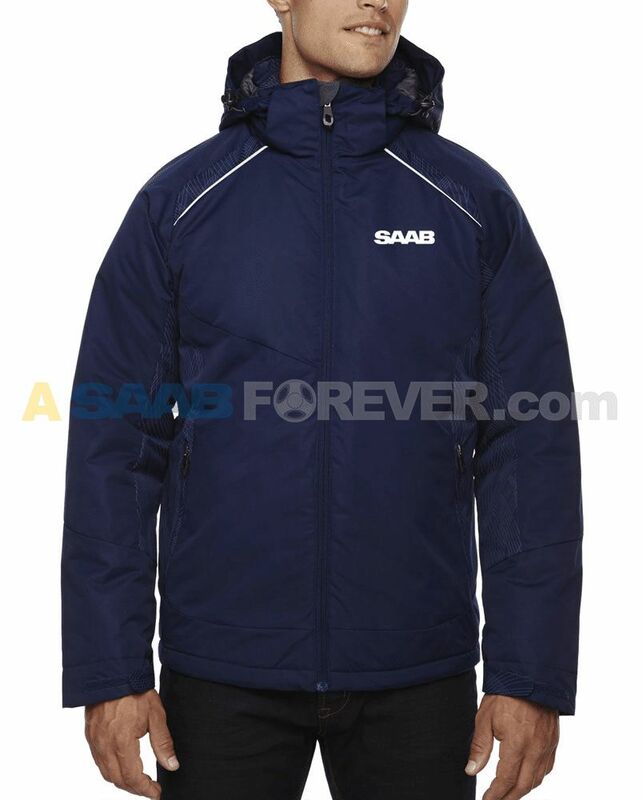 100% polyester, insulated jacket with water resistant finish. 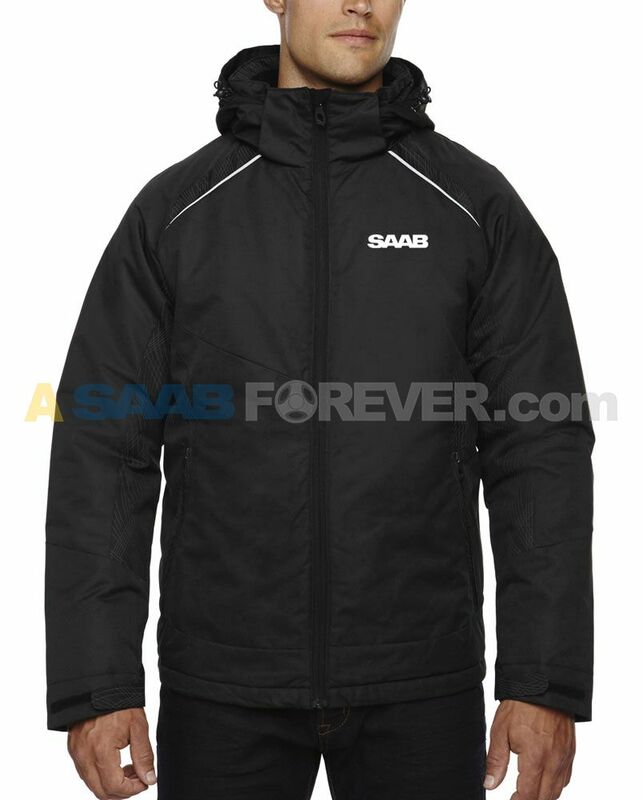 Features flat reflective piping on front and back of jacket. SAAB embroidered in white on left chest.